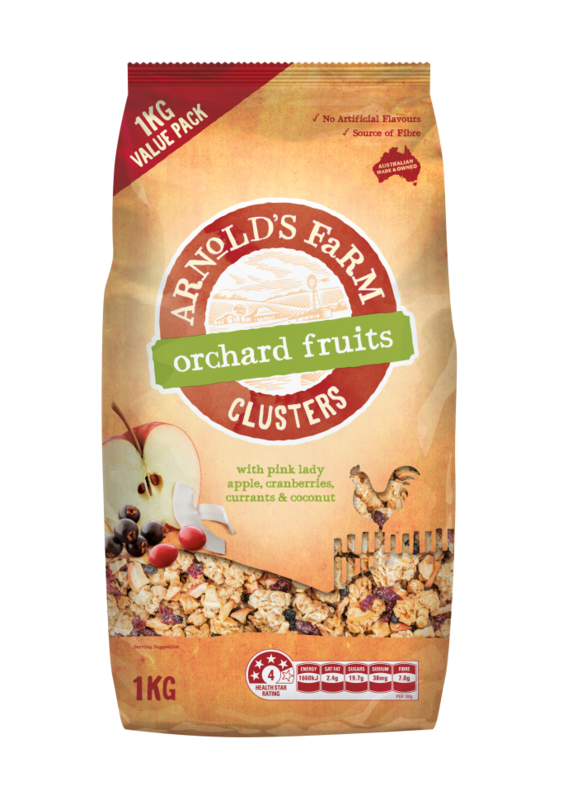 Our Orchard Fruit Clusters contain the goodness of Australian oats, combined with pink lady apple, cranberries, currants and coconut. Take a trip to the orchard for breakfast! 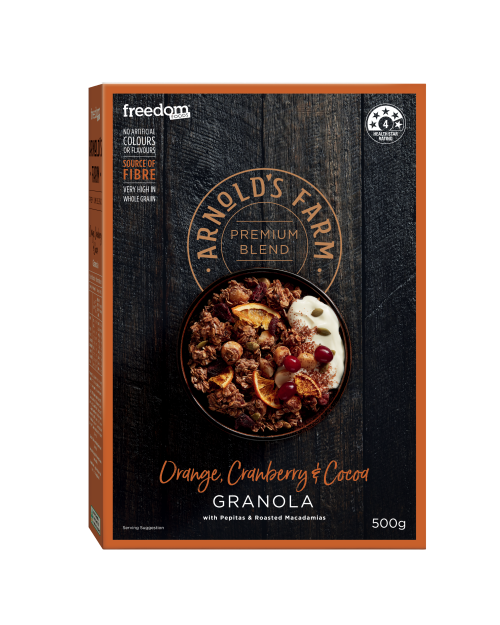 Arnold’s Farm Orchard Fruit Clusters contain the goodness of Australian oats, combined with pink lady apple, cranberries, currants and coconut. Take a trip to the orchard for breakfast! 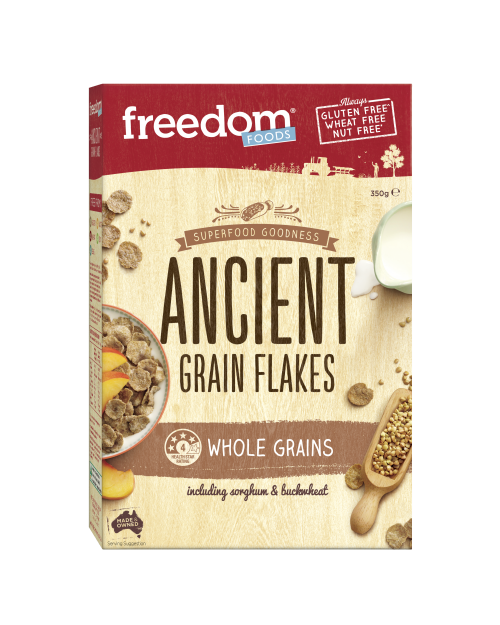 Australian Whole Grain Rolled Oats (37%), Glucose, Oat Bran, Fruit (11%) (Currants (4%), Cranberries (2.5%), Pink Lady Apple (2%), Coconut (2%)), Oat Flour, Raw Sugar, Puffed Rice, Canola Oil, Modified Starch (Tapioca Dextrin), Natural Flavour, Emulsifier (Soy Lecithin), Antioxidant (Vitamin E). 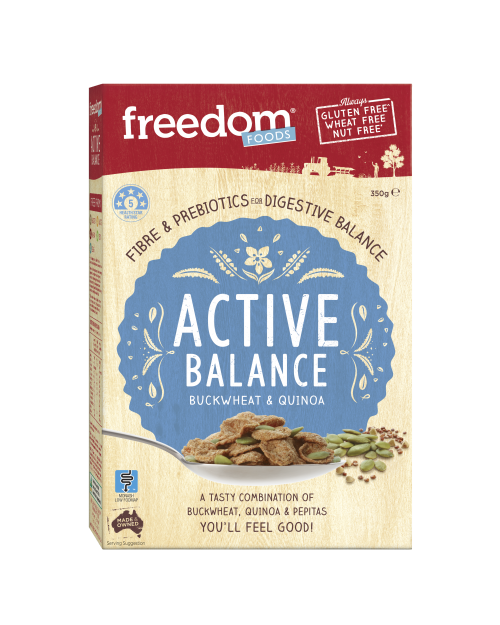 Contains: Gluten-containing cereals and Soy. May contain: Lupin, Milk, Peanuts, Sesame Seeds and Tree Nuts.